This is the third installment of a 36-part series highlighting the greatness, dopeness that is/was “YO! 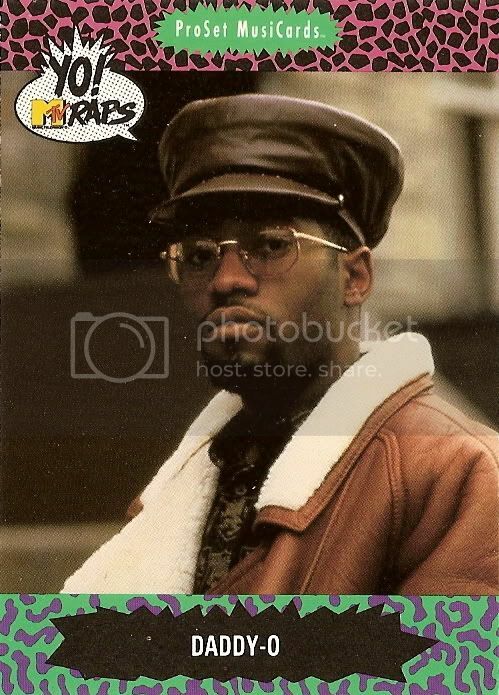 MTV RAPS” cards. The contents of Pack Three — as well as some awesome rap videos — are within. Al Davis must be a proud man. 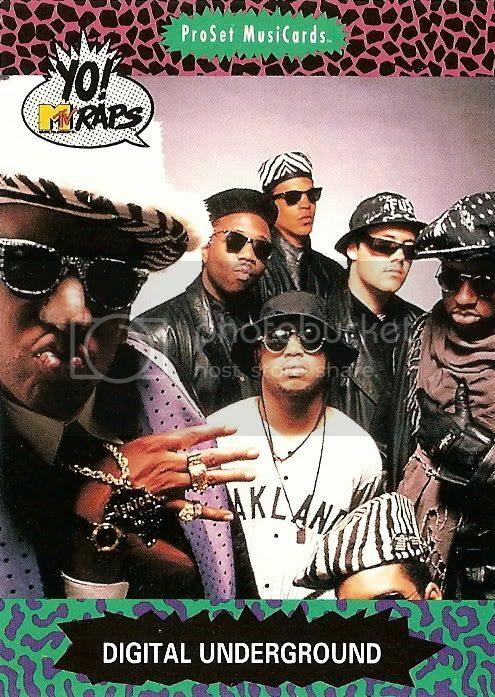 If there is one thing I remember most about late 80s and early 90s hip hop/rap, it’s the abundance of Raiders gear being displayed. 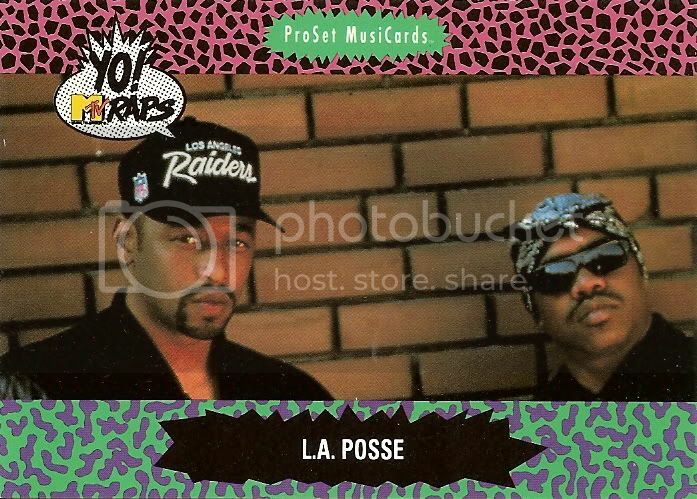 Of course during the time these cards were produced, the Raiders were in Los Angeles, the hot bed for gangsta rap, which THIS is not. Go figure. Highlight of the card lies in the infograph: “As graffiti artists, (Shock-G) and his younger brother Rackadelic left their mark on the New York subway system before moving to California.” I guess we’re speaking literally here. What? We’re you expecting some sort of Humpty Dance reference? Maybe later. Look at those dookey ropes. Daaaaaaaaaaaaaaaaaaaaaaaaaaam. 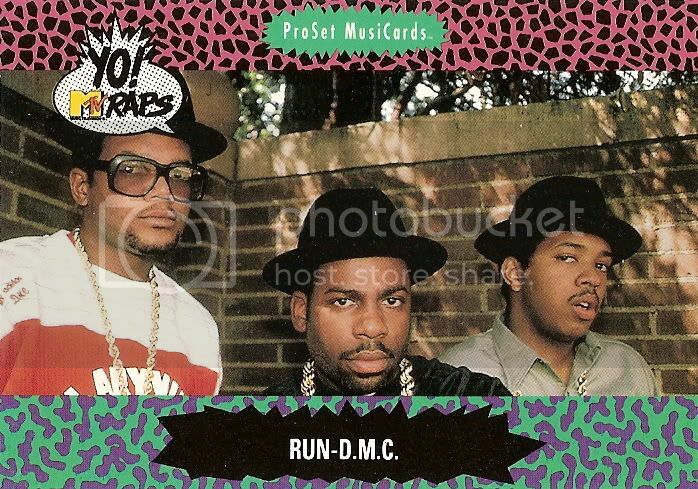 Back of the card features a picture of the group sitting on railroad tracks; The shell-toe adidas are almost as prominent in the image as the artists. 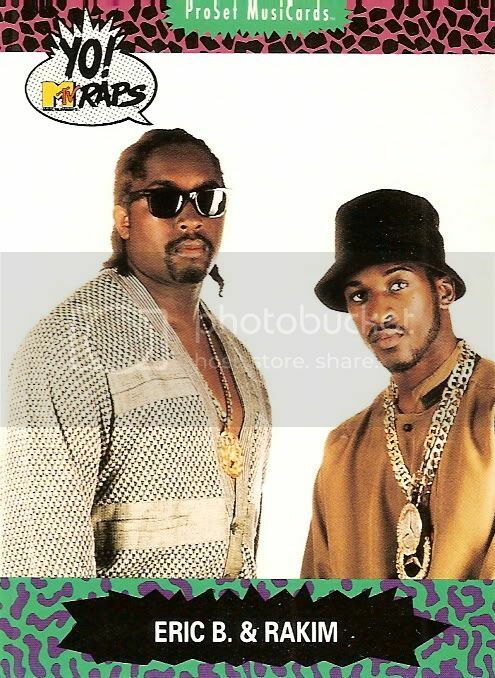 Per Rakim: “The message we put forth is about trying to encourage people to strengthen their minds.” How about shortening that sentence and getting to the point, B. I mean Rakim. 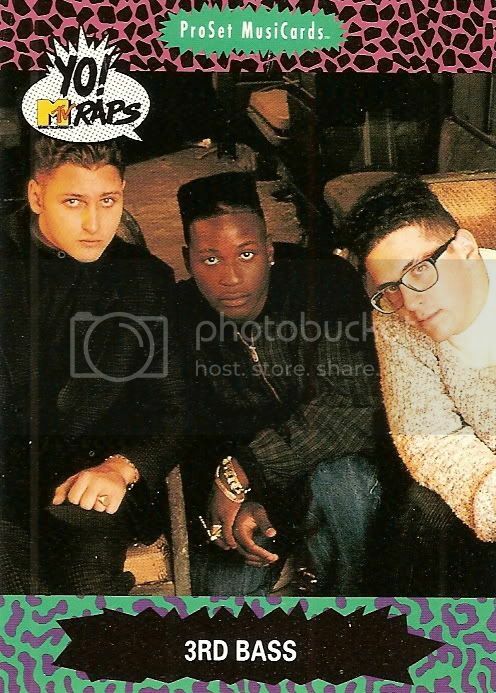 One more MC Serch and Pete Nice card for the collection. Apparently my cousin digs Serch. 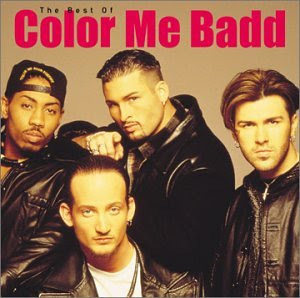 I find Pete Nice an amusing guy to look at because he reminds me of the dudes from Color Me Badd. The Choice Is Yours … and I’m chosing to save the video for later. Dude, for some reason I hella want to watch “A Diferent World” right now. Look, another Raider hat … and a Tupac rag. Can a grouping of two guys really be a Posse? Legally they could be considered a gang. But a Posse? Per my “Hip Hoptionary” (Yes, I have one. It was a gift from some college people), a Posse is defined as a “group of hanging buddies.” Well, that settled nothing. Twice is nice … OK, not really. So someone explain to be why the taller dude had to ditch his Raider gear while wearing his suit, but the other guy is OK with his bandana. This entry was posted on February 3, 2009 at 11:34 pm and is filed under Yo! 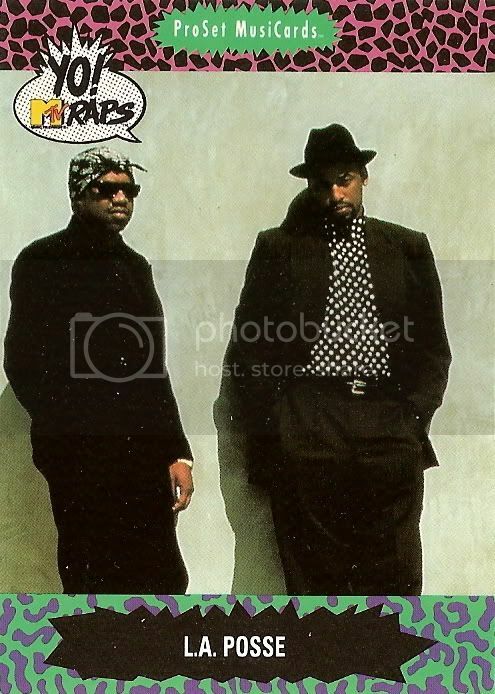 MTV RAPS Box Break with tags 36 Times Dope, bad rap, baseball cards, Cardboard Icons, Color Me Badd, Digital Underground, EPMD, freestyle rap, Hip, Hip-Hiptionary, hip-hop, Humpty Dance, KRS One, Method Man, Raiders, Rakim, Redman, shell-toe adidas, YO! 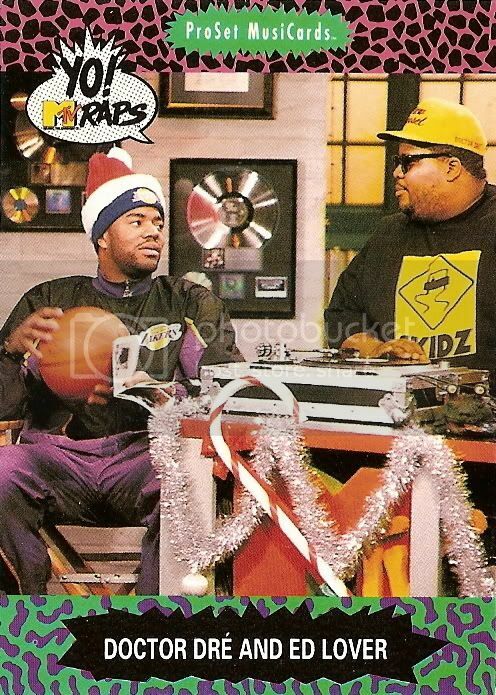 MTV RAPS. You can follow any responses to this entry through the RSS 2.0 feed. You can leave a response, or trackback from your own site. How dare you try to correct the God? Rakim is doper than your whole life. 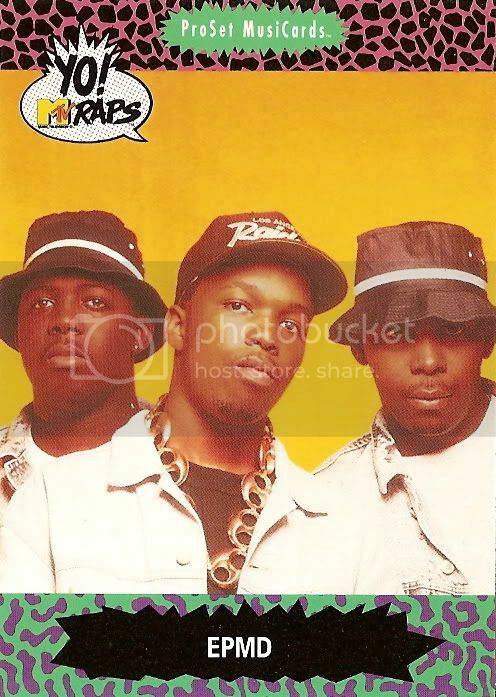 You will not get a Vanilla Ice card … this is when MTV was trying real hard to be real … and then cam The Real World. And that Black Sheep album still holds today.